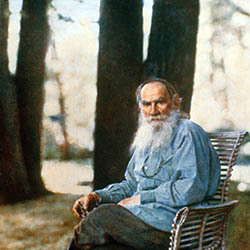 "At the present moment the war spirit attempts to justify its noisy demonstrations by quoting its great achievements in the past and by drawing attention to the courageous life which it has evoked and fostered. It is, however, perhaps significant that the adherents of war are more and more justifying it by its past record and reminding us of its ancient origin. They tell us that it is interwoven with every fiber of human growth and is at the root of all that is noble and courageous in human life, that struggle is the basis of all progress, that it is now extended from individuals and tribes to nations and races. 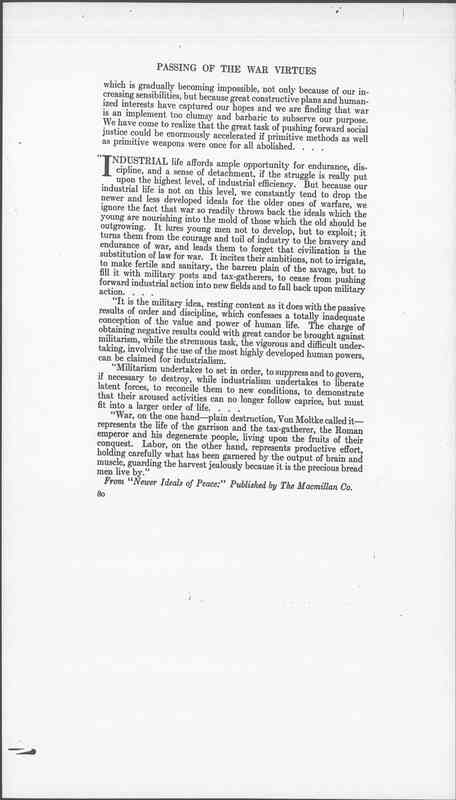 "It is the military idea, resting content as it does with the passive results of order and discipline, which confesses a totally inadequate conception of the value and power of human life. 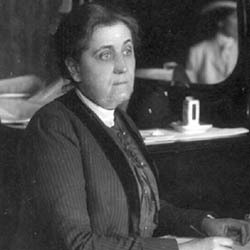 The charge of obtaining negative results could with great candor be brought against militarism, while the strenuous task, the vigorous and difficult undertaking, involving the use of the most highly developed human powers, can be claimed for industrialism. 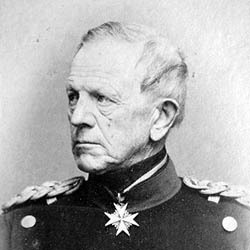 "War, on the one hand -- plain destruction, Von Moltke called it -- represents the life of the garrison and the tax-gatherer, the Roman emperor and his degenerate people, living upon the fruits of their conquest. 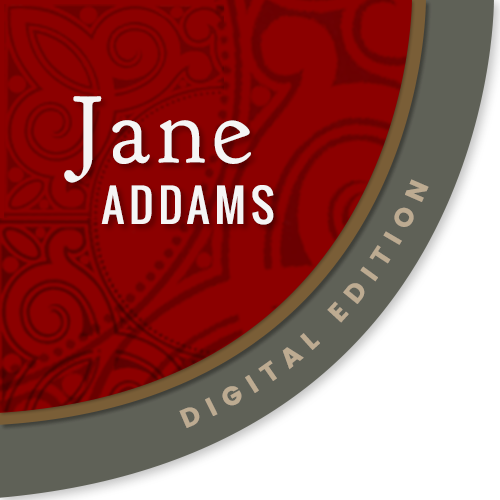 Labor, on the other hand, represents productive effort, holding carefully what has been garnered by the output of brain and muscle, guarding the harvest jealously because it is the precious bread men live by." 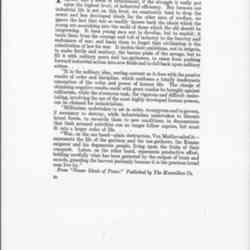 From "Newer Ideals of Peace:" Published by The Macmillan Co. 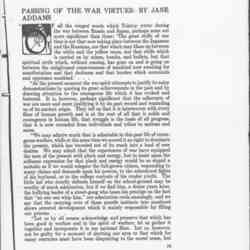 Passages taken from Addams book "Newer Ideas of Peace," in which she argues against war on the grounds that it is something that is beneath the ideas of modern man, something not to be admired, and a waste of time and energy. 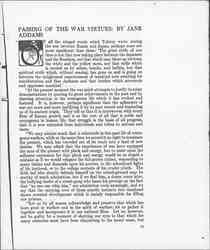 Jane Addams, "Passing of the War Virtues," Craftsman 27 (October 1914), pp. 79-80. 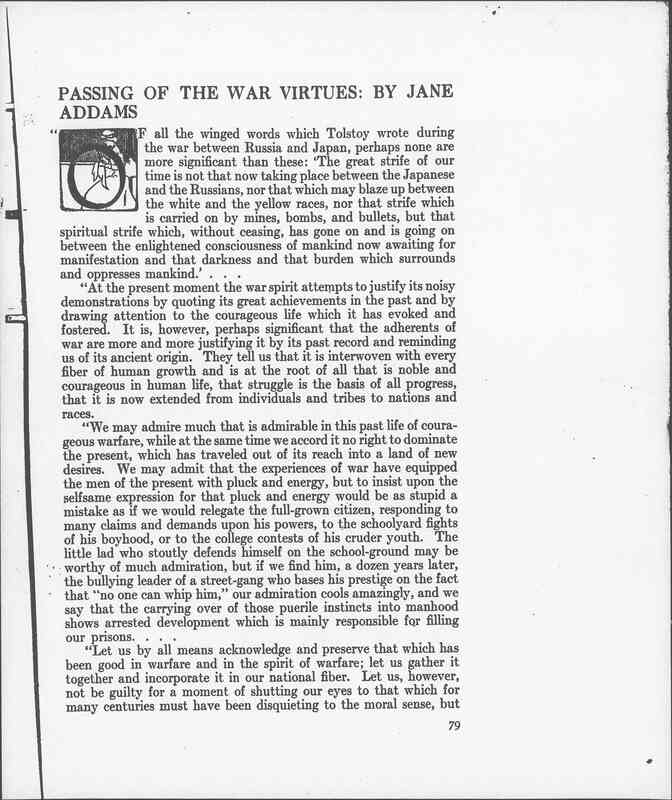 Addams, Jane, “Passing of the War Virtues, October, 1914,” Jane Addams Digital Edition, accessed April 20, 2019, https://digital.janeaddams.ramapo.edu/items/show/9795.